Description:This Harrison's mill was at the southern end of Lichfield Street, close to the junction with Leek Road. The Joiner's Square factory produced colours and glazes. It was part of the larger group of Harrison's mill which included the Phoenix on Garth (or Bath) Street in Hanley and Victoria Mills in Stanley. 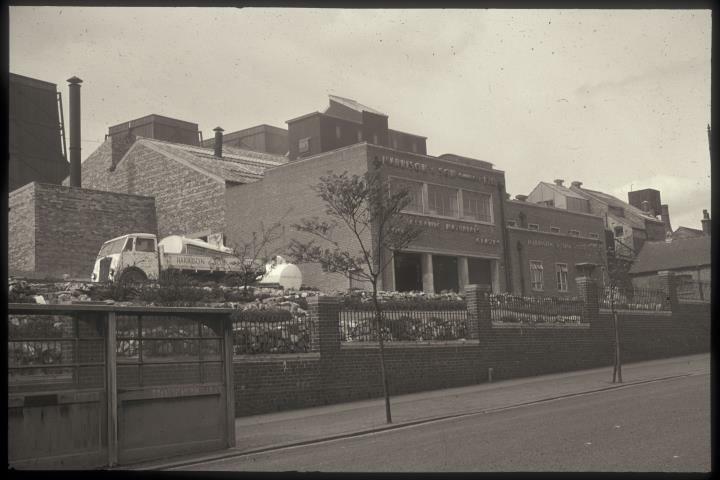 The company later became Johnson Matthey and the site today is part of Endeka Ceramics. The lorry in the photograph has come from the Phoenix Works.